Together Alone is a song by Dutch singer Anouk. A song in which she sings about her betraying her man. Heavy stuff alright and a strong title for describing the lack of fulfilling she apparently felt at that time. 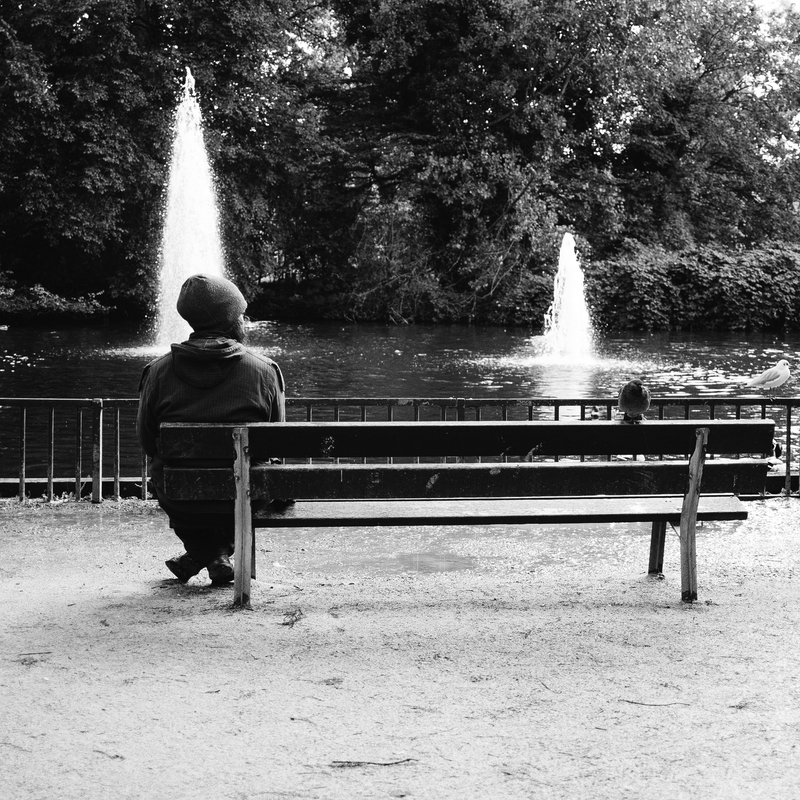 This title crossed my mind when I saw this man sitting on the park bench all on his own….except for the dove that seemingly is not intimidated by the man. The web is flooded with street photography showing people sitting on benches, I know, but the fact that the man sits on the very end of the bench en the dove just minding his own business I found quite funny. I hope you too. When showing my girlfriend this picture, she mentioned the white bird on the right, turning it’s back to the two. I like it when a photograph reveals these kind of details. Shot with my dear M8 paired with the lovely Zeiss ZM Biogon 28mm.